Knifemaker Ken Onion is the mastermind of such iconic and well-received knives as the Kershaw Leek, Kershaw Blur, CRKT Shenanigan, CRKT Onion Skinner and more. 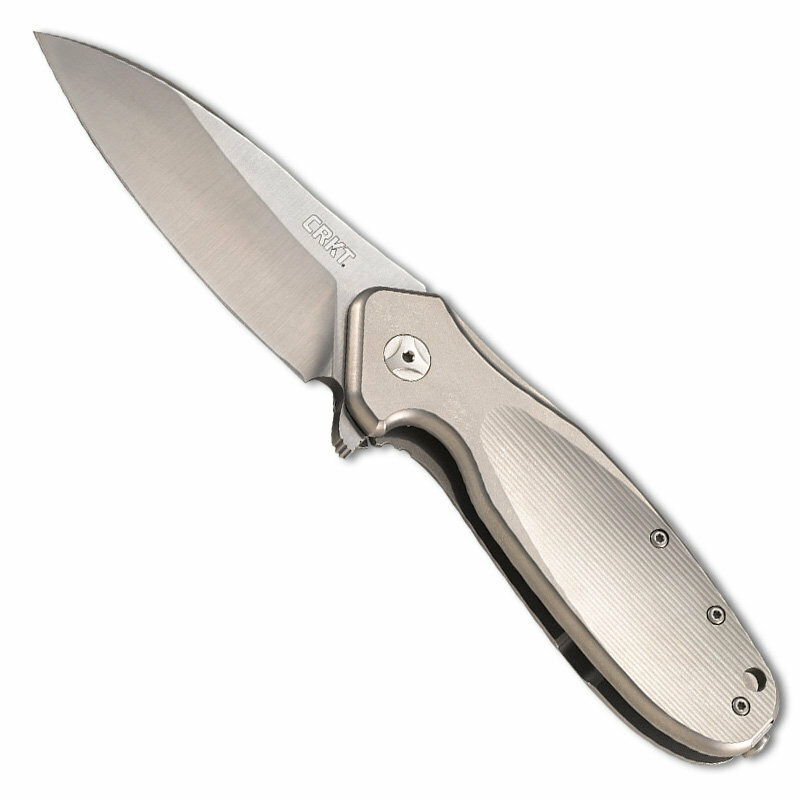 In his latest collaboration with CRKT, Ken Onion has done it again. The Hi Jinx from CRKT is a high-end folder based on Ken Onion’s Old Scallywag custom design made with quality materials and fine craftsmanship that would leave even casual knife fans drooling. The 3.32-inch blade is made of Böhler Uddholm’s Sleipner steel from award winning manufacturer LionSteel and uses a flipper for quick deployment. With an overall length of 8.1-inches when engaged and a weighty 6.4 oz., the knife packs a big punch. This is an interesting and promising move by CRKT into the premium blade market. The MSRP is currently set at $500, but the street price will probably be a good $150 cheaper. As far as I know, The Edge Observer was given a first look at this good-looking knife and wrote a comprehensive review of the Hi Jinx, which covers it thoroughly. You can read the review here or watch the video review below. If you want to get your own look at the knife, the Hi Jinx will make its debut at the BLADE Show. you’ve forgotten the people who paid to secure your business. $350 or $500, no Joe Citizen can afford this type of product. Is your target market the elite few? Thanks a lot CKRT. Interesting point. While the average person cannot afford to spend this much, they have this as an option for premium knife collectors. Fortunately, there are still models within an affordable range. It’s always good to have options and broaden the market. NICE to see a quality knife , too bad I will never own one ,way above my budget, I was upset when some of your knives were being made in China , although they have some fine workmanship I still try to buy ones made in the USA , make more in the USA ,I’ll pay a little more for those. Apparently, they should have priced it higher considering it sold out in a couple of months and they are going for double or triple on the secondary market. That’s not uncommon for limited edition knives (or limited editions of anything). No matter how much it costs, it will always cost higher on the secondary markets if there are only a few made. They could have probably priced it higher and made more money though. Join CRKT undeeground and voice your concern! There was recently a discussion revolving around steel types and USA made. Employees of crkt are considering feedback and chiming in. Let them know! Exclusive,Quality & Style.If a knife no matter what they have and more than 200 above.The most important question is where is it made?Thanks. The knife is made in Maniago, Italy.